We are Birmingham SEO Experts. We are all you need for your Birmingham SEO, Web Design, and online presence! Whether it be Increasing your organic Google Rankings and dominating page 1, or a complete site redesign using modern responsive techniques, we can help you! Not only are we one of the top Birmingham Search Engine Optimisation Service companies (unassumingly of course) but we also belong to mastermind groups that include the world’s best SEOs. We share techniques, what’s working and what to move away from. We stay on top of our industry to benefit yours. Potential customers in Birmingham need to know about you before they can give you their business, so we prioritise your online presence and getting you found easily. We know every business in birmingham is different and we’re committed to working to a specific plan for your company so you get the results & ROI you can be proud of. The internet is quickly becoming the biggest source of traffic and profits for businesses. When people search for a product or service, they rarely look in a phone book or at pamphlet – they go to a search engine. That is why it is imperative that your marketing strategy includes search engine optimisation (SEO). Pound for Pound, there isn’t a much better investment than SEO. Birmingham SEO understands how important search engine optimisation is for a business. It can help grow your business and even produce results while you are asleep. A Birmingham SEO Expert provides customers with great value for their money. We utilise proven SEO methods and tools to ensure your website ranks higher than the competition. Top Benefits of Birmingham SEO Long-term Standings Once we have an SEO strategy established for your business we will start ranking your site for the long-term. Although search algorithms tend to change periodically, you can rest assured your site will stand firm in its rankings. Our experts are always studying and staying on top of trends. We believe in being proactive while our competitors tend to be reactive. A proactive approach ensures you will always be ahead of your competition for the long haul. Beat the Competition There is no better way of dissolving your competition than by using a well optimized website. Web users typically don’t click through several pages of search engine results to find what they are looking for, they browse the first page and move on. With Birmingham SEO, your business will enjoy first page results for keywords that matter most to your customers. We give you a leg up on the competition, leaving them in the dust. Higher Sales When more people visit your website, the probability of an increased conversion rate is relatively high. Our SEO experts in Birmingham know what it takes to increase traffic and sales. Once our advanced custom strategy is established for your business, you will be receiving an influx of targeted customers to your website. Since these customers are targeted for your site, they are more likely to make a purchase. Some SEO companies promise a lot of traffic but they rarely promise targeted traffic. There is a difference. Targeted traffic will increase profits. 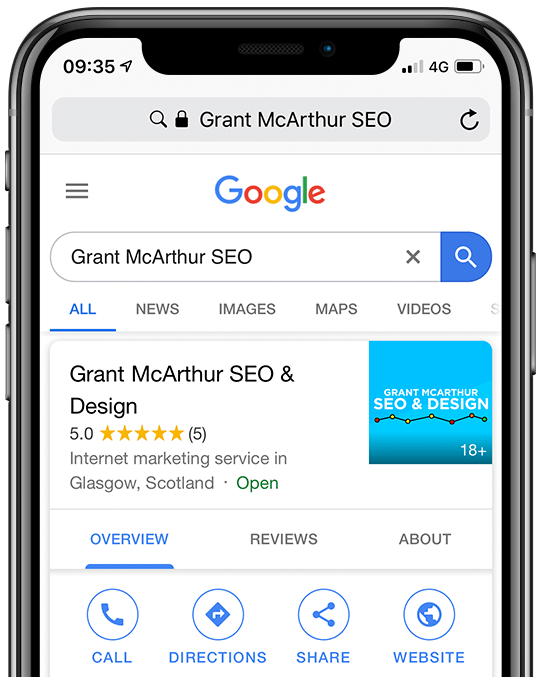 Increase Visibility One of the biggest pros of optimising your site is the increased visibility earned in search engines like Google, Bing and Yahoo! Our Birmingham SEO Agency customizes your site but utilizing targeted keywords in articles, blogs and videos. This healthy strategy is just a portion of what can be done to drive your site up the ranks on search engines. The higher your site is ranked, the higher your visibility. More visibility makes your site a trusted brand which leads to more conversions. Affordable Marketing Search engine optimisation is very affordable compared to other marketing strategies. This is especially true when working with an experienced agency that knows what it is doing. Our experts know what works and what doesn’t. We don’t waste money on short term tactics that don’t work. Experts at Birmingham SEO will significantly drive down your marketing costs. All businesses can benefit from search engine optimisation. Contact Birmingham SEO today and we will create a custom plan for your business so you can start crushing the competition.